Designed and built with your business’s needs in mind. The Prism® open IP Video Management System delivers a comprehensive video solution, even in the most demanding environments. Prism® by Lenel is an advanced open IP Video Management System (VMS) designed to meet the needs of today’s challenging business environments. Scalable and flexible, Prism is available as a standalone VMS or fully integrated with Lenel’s OnGuard® security management system. Prism can integrate with multiple recorders, including the TruVision® video recorders from InterlogixTM. For modern businesses with complex and evolving video surveillance needs, Prism provides a complete solution. Advanced technology at your fingertips. The Prism VMS is designed to enhance and simplify video surveillance operations. Built using the latest IT and video surveillance industry standards, Prism works seamlessly with Lenel’s industry-leading OnGuard® security management system for fast and effective event-driven monitoring. Prism’s graphical user interface is easy to use and understand, enabling users to efficiently manage video surveillance and improve the timeliness and accuracy of operator response. Prism’s advanced user interface is designed to be intuitive and video-centric. The interface’s feature-rich set of tools—which include y-in menus and overlays and user-friendly screen graphics—maximize the use of the video workspace, resulting in fast, high-quality user decisions and reduced training costs that help promote efficient use of personnel. The Prism VMS can be used as a standalone or can be seamlessly integrated with Lenel’s OnGuard security management system. Prism supports Lenel NVR natively and additionally supports the TruVision® recording platform, making it easy for existing OnGuard Video Manager customers to upgrade to Prism and retain complete video data continuity. 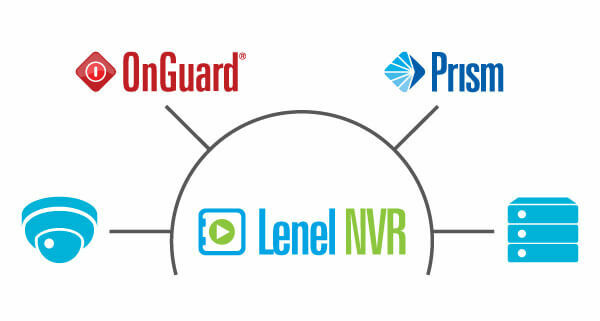 Together, OnGuard software, Prism VMS and Lenel® recorders deliver a truly integrated video and access solution. User-friendly interaction delivers ultimate control. The simple and intuitive user interface of Prism® delivers extensive options for live and recorded viewing, event and alarm monitoring, and system administration functionality, all in one innovative and integrated video system. Prism’s advanced operator console design provides operators with a range of options, including: customizable layout choices, mixed live and recorded video display, and multiple, easy-to-use investigative tools—giving them ultimate control over any surveillance situation. 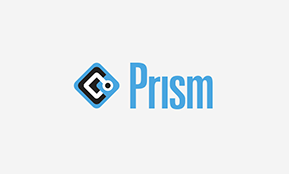 Prism makes viewing live and recorded video easy. The interface can show live and recorded footage simultaneously, so operators don’t have to switch between the two different views. 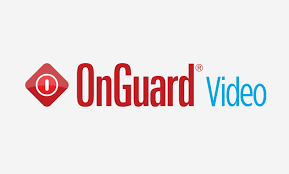 Automated video triggers for OnGuard® alarms provide operators with increased awareness. Prism’s tile-based menu collects the operator’s most frequently used functions together in one place, decreasing user response times and optimizing screen space. Prism’s y-in menus and overlays can be collapsed and moved in order to maximize the video display area and optimize screen space. The active time bar function, with gap map information and fast video load, enables operators to play back video quickly and pinpoint details accurately. Making investigations more efficient and cost effective. Prism’s advanced forensic tools simplify and enhance the process of viewing recorded video material. Easy to use and understand, the tools help reduce the time and cost of investigations, allow operators to work more efficiently and effectively, and produce large amounts of high-quality video footage that can assist in the investigation process. Synchronized recorded playback with live view lets operators synchronize the playback of multiple cameras across multiple recorders. Post-recorded motion search allows investigators to run motion detection against previously recorded video, providing computer-assisted investigation capabilities. Event browsing and storyboard mode sequentially maps out incidents, so operators can view situations as they unfold and capture vital evidence. The evidence locker combines/ consolidates multiple data sources in one place and is useful for managing evidence and reporting incidents. Prism’s time browsing and filmstrip mode shows missing or added objects in continuous recorded video surveillance material. Together, the Prism® VMS and the OnGuard® security management system deliver an advanced, robust and seamless video and access solution that’s ideal for enterprise applications. The openness of the system and its ability to use virtually any camera makes it easy to integrate into the environment. Well-suited for the management of complex sites, OnGuard and Prism provide customers with an innovative and fully integrated hub for their command and control deployments. THE QUALITY YOU EXPECT AND THE TECHNOLOGY YOU DESERVE. All of Lenel’s products and partner solutions undergo revisions, updates and quality assurance through each release cycle. This ensures great product offering in the marketplace. As part of this comprehensive portfolio, the Prism VMS benefits from Lenel’s ongoing technical advancements and, when implemented in an integrated environment, can help customers enhance efficiencies in administration, work ow and costs. Always innovating, Lenel’s Prism VMS and OnGuard security management system simplifies surveillance operations, enhances operator efficiency and helps improve overall security, enabling you to better protect and manage your people, property and assets. Lenel’s comprehensive offering of access and video products delivers outstanding performance that’s both scalable and flexible to meet your business’s needs. Engineered with innovative technologies and features, Lenel can help your business leverage every aspect of your Prism system for optimal protection and ultimate control. Lenel’s Software Upgrade and Support Plan (SUSP) makes upgrading Prism easy and cost-effective. This simplified plan lets your business take advantage of pricing benefits, along with Lenel’s outstanding technical support, to guide you through the upgrade process. Prism provides a low total cost of ownership (TCO) video solution through tiered pricing and a single source of knowledgeable tech support for both access and video from Lenel. Lenel is a global leader in advanced security systems and services, developing innovative solutions to protect buildings, people and assets. Incorporating open architecture and third-party interfacing. Lenel’s enterprise software manages multiple systems to provide a single, seamless security solution for customers worldwide. Lenel is a part of UTC Climate, Controls & Security, a unit of United Technologies Corporation – a leading provider to the aerospace and building systems industries worldwide.